Being born too early puts the baby at risk of death and disability, yet there is no quick, reliable and cost-­effective test to identify at-risk women. 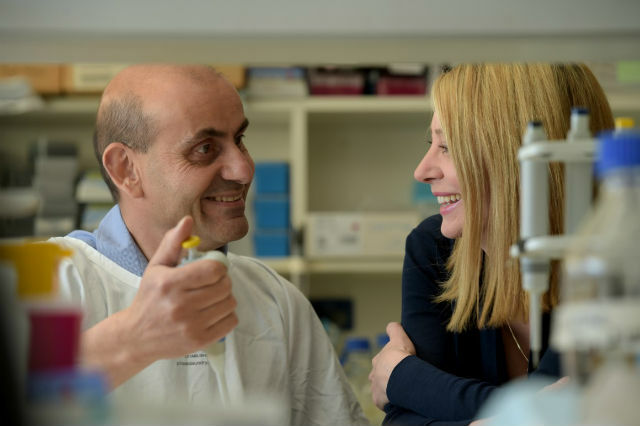 A University of Melbourne and Mercy Hospital for Women team led by Dr Harry Georgiou and Dr Megan Di Quinzio has been investigating the best way to detect the risk of early ­labour. They discovered a group of 10 biomarkers in cervical fluid that ­appear to signal a baby’s imminent arrival and can be detected by a simple swab. The test could be taken from 16 weeks’ gestation and again in the third trimester. It could also help to predict labour in overdue women. Thousands of samples of cervical fluid from Victorian women who participated in the research will be screened to establish the threshold for the biomarkers. Dr Harry Georgiou will soon begin recruiting pregnant women at the Royal Women’s Hospital. Partnering with a Singaporean company, local company Carmentix promises to fast-track the research.